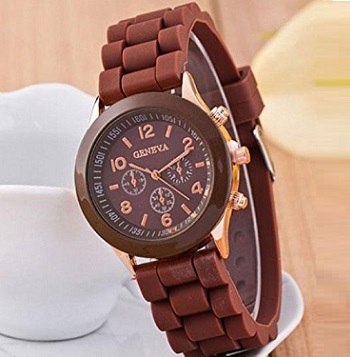 Geneva gummy watch. Finished with a colour co-ordinated case, this beautiful watch is stylish and comfortable. This watch boasts a sophisticated gummy strap. Supplied in BROWN.